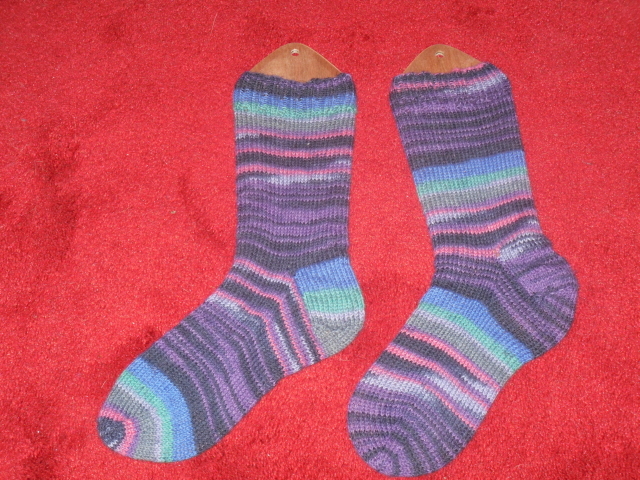 First up; socks – the purple pair were actually finished before I got poorly, the rainbow pair were half done pre-virus and it took me ages to do sock #2!! 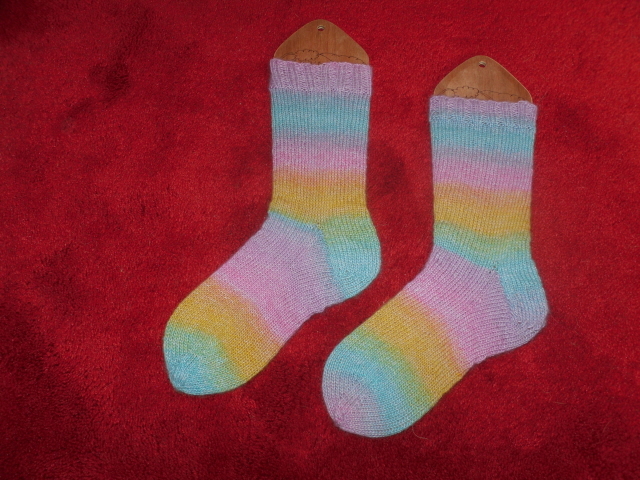 Then I found a book of knitted animal patterns in a drawer while looking for something completely different (order and method are not my strong points!) 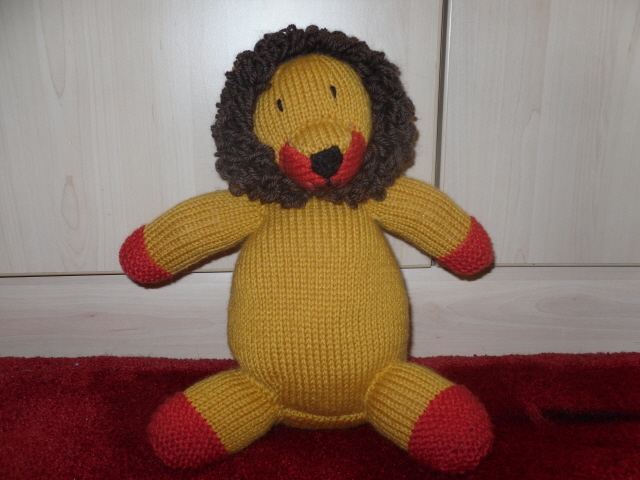 and made a lion for my niece.